Click on the link to view photos by Heath at the SSDT 2014. SSDT 2014… Where to watch! PLEASE NOTE: This year the event organisers’ have been very fortunate to gain some new terrain and sections to utilise in the event some of which has never been used before. Whilst there is not a great deal for the spectators to see, competitors will enjoy the route and the sections introduced. There are a number of restrictions and constraints in place over the new areas, it must be must stressed that where you come across restricted areas and signs please do not ignore them. These are in place to ensure the event can continue to use the ground in years to come and more importantly not damage the surrounding countryside. So please do not be tempted. You may jeopardise the future of the event. 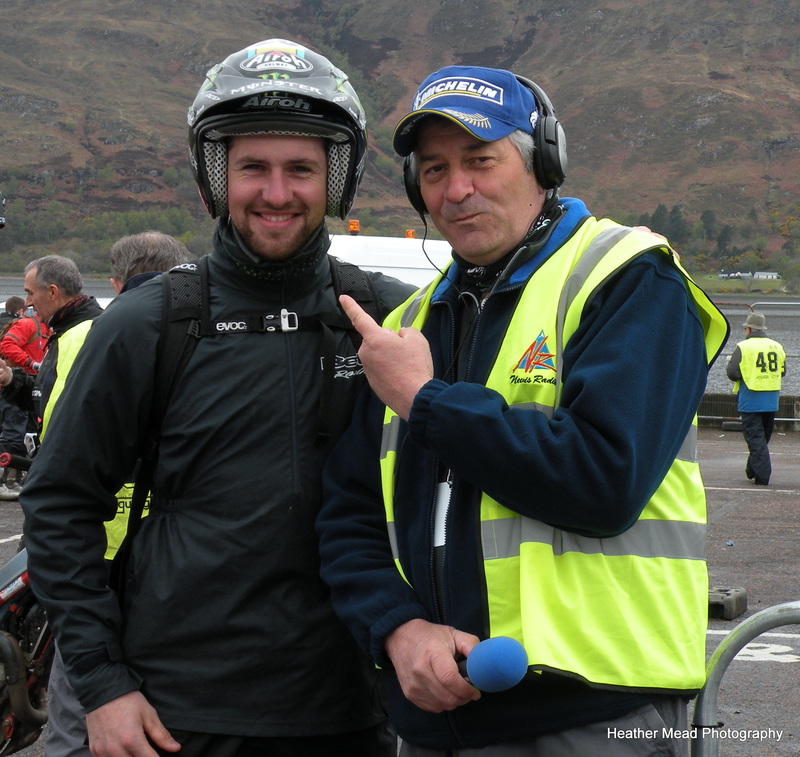 Two time SSDT winner – James Dabill with The Guru! Starts as usual with a trip to Leanachan with 5 subs under the popular viewing platform that has been upgraded with new hand rails. The riders then move on to Bradileig before hitting Carn Dearg and Glas Bheinn. A relaxing run over the Blackwater dam road brings the field to Coire Mhorair for 3 subs. Followed by the traditional Cnoc a Linnhe, Garbh Beinn and Cameron Hill with its recently added top sub. Concluding at Lagnaha (7). 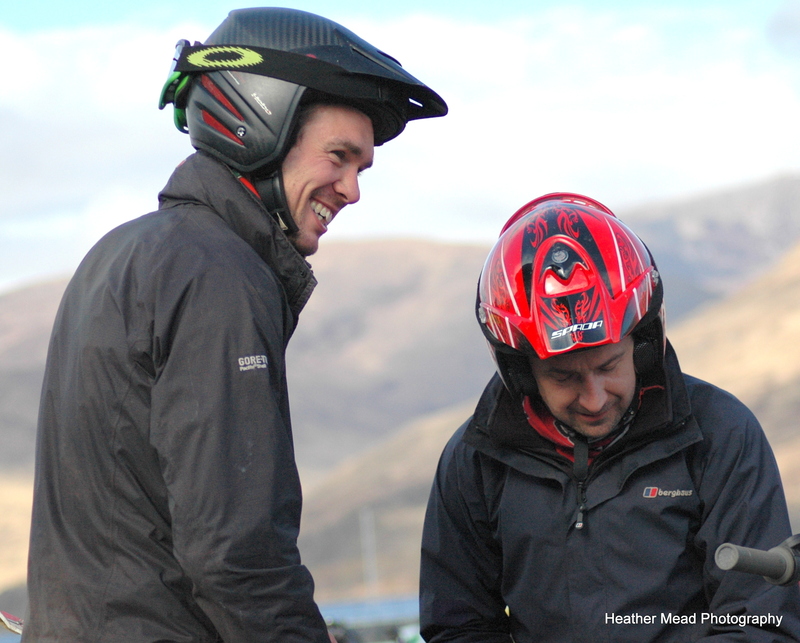 2005 winner Sam Conner with SSDT regular Neil Bowker. Reverts back to the traditional route starting at Laggan Locks (3) then over to Forest Gate (2). A run up to Jenkins Park and a nostalgic turn back the clock for some as Achlain is reintroduced with 2 subs. Riders are asked to follow the flags along the top side of the pylon line and around the pylon at the end of the route. Again this is one of the constraints in place. Meall Damh is next followed by Craig Nan Gobhar and Ceannacroc Forest. New fencing here has made it necessary for us to utilise the road for a short while. Again please follow the flags and do not be tempted to take any shortcuts. Creag Lundie with 5 subs will be as popular as ever with a long haul down to Allt Coire an Seilich (3). A run over to Glen Tarsuinn then Loch Arkaig’s new subs is then rounded off with a timely return to the newly designed Witches Burn with a natural amphitheatre. 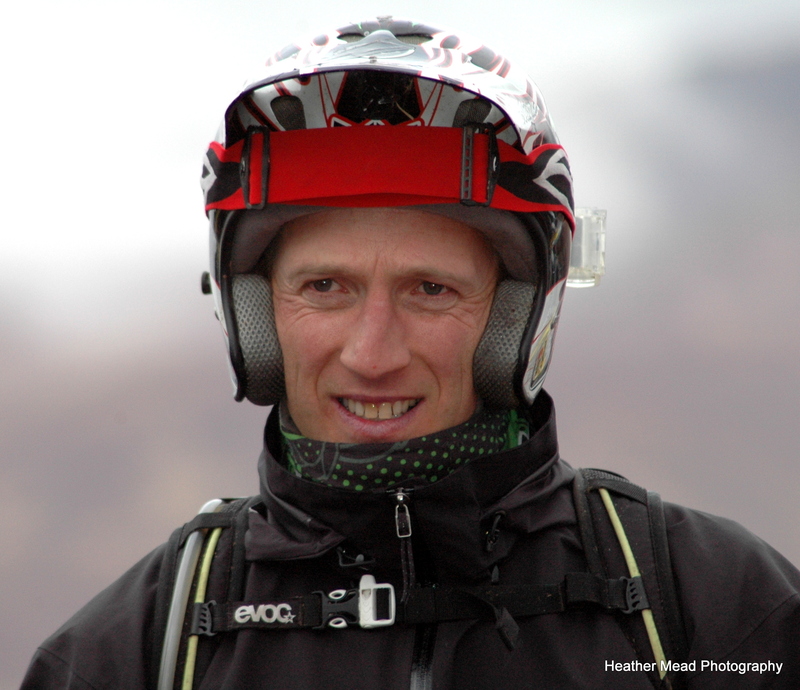 DH champ, Steve Peat is a regular SSDT competitor since 2011. Callart Falls kicks off today with 5 subs quickly followed by Callart (2). Along to Upper Mamore then down to a single at School Falls. Grey Mares Tail rounds of the Kinlochleven part of the day. Along then to the new Pap of Glencoe Group followed by Clachaig 3 subs, again new last year. 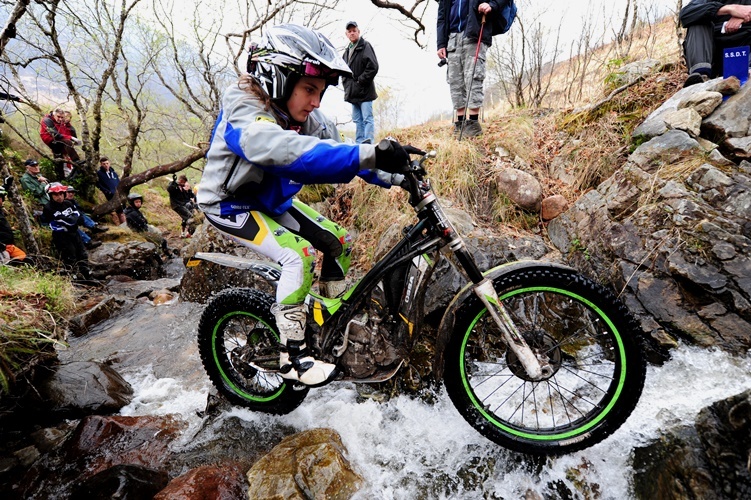 The next group Eas a Bhodaich are not spectator accesable unless on foot or cycle. Glen Stockdale (2) in Appin is a fair walk in and if the weather is dry, worth seeing. Glenmuckrach are the last new subs before the all popular Lagnaha group with 5 sections. 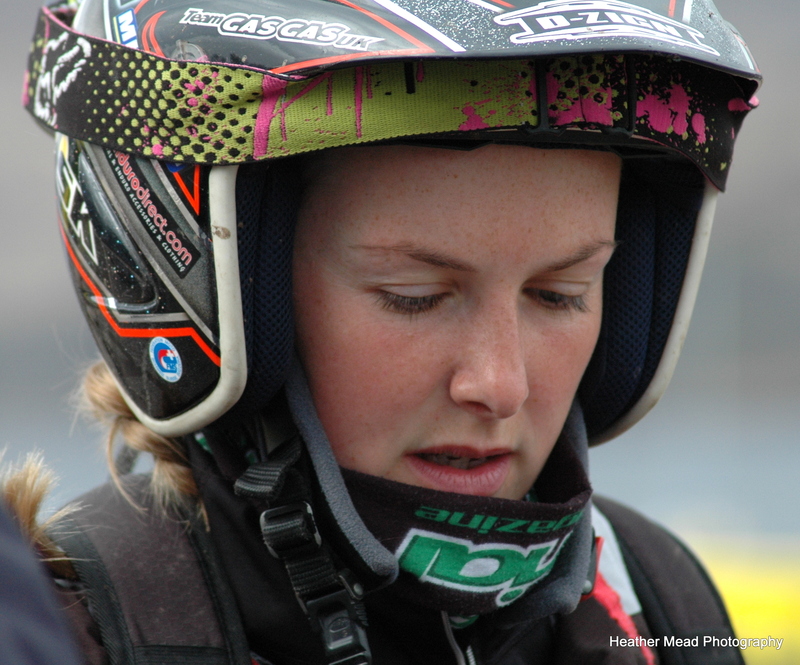 Katy Sunter (Richmond) is a keen SSDT regular. A familiar run to Bradileig first thing before reaching Feith a Cheannain (3) yet another new group introduced this year. No Scottish would be complete without Fersit (7) along with a trip through the notorious boulder field. A road trip takes the field on to Ruighe Mhor and brand new sections for this year, along with Coire Leacach. Yet again another new couple of subs in Fasfern 1 followed by Fasfern 2. A small hop up to Annat before a moor crossing like no other to finish the day at Trotters Burn. All in all a radically new Thursday. 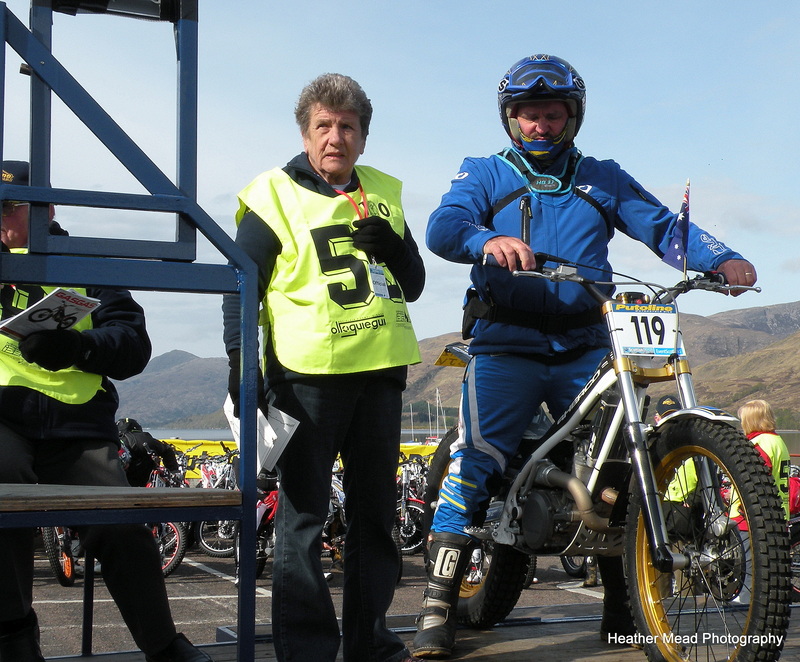 The SSDT needs people like regular observer/official, Judy Blyth from Ripon to keep the event running smoothly. Friday is peninsula day starting at the Mhuidhe (3), this year there will be a single and a double not a triple. Piper’s burn hosts 5 subs and is always a crowd pleaser. Glenuig plays it part with a single. W.Ds couple of subs, well enough said. Laudale, Laudale Cottage and Kingairloch play host to the only off road route of the day, Camasnacroise holds a secret this year. Then the day rounds off with Meall Nam Each, Kilmalieu and lastly Rubha Ruadh before a sea voyage on the way home. 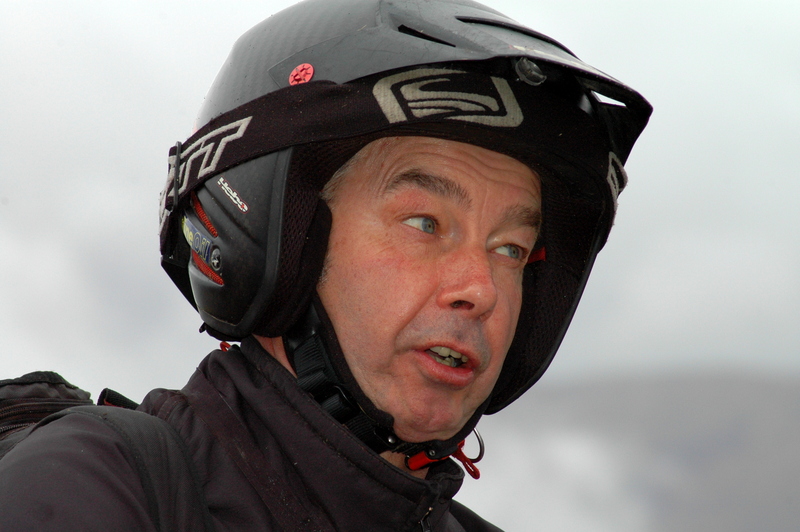 Nigel Birkett has ridden over 40 Scottish Six Days Trials since 1971. The last day remains mainly unchanged. Why mend it if it ain’t broke. Sleubaich kicks of the final day followed on by Upper and Lower Mamore. Scottish Six Days legend “Pipeline” looms next with its traditional triple sub and concluding with a double. The picturesque Loch Chiarain with its remote bothy entices the riders over the Chiarain path to the Gorge and up the Lairige. As a climax to the week and the event Glen Nevis awaits its loyal subjects from Achintee to Ben Nevis’s nemesis, then on to Nevis Forest before ending on a high in Fort William’ s very own Town Hall Brae (Rocky Brae) and a nice pint in the hub back in the Parc Ferme. 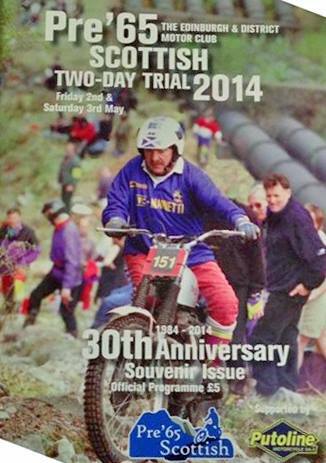 Issued by ‘TRIALS MEDIA’ – PR partner of the Scottish Six Days Trial 2014. 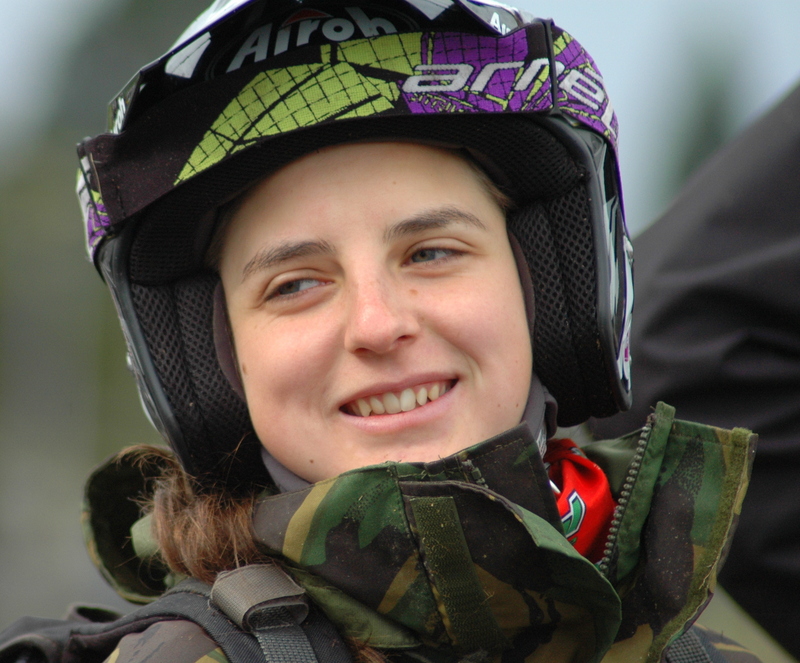 Off road motorcycling is a male dominated sport but one female lady athlete from Great Britain is making a massive impact – That lady is Emma Bristow. Already crowned a world champion earlier in year at the final round of the SuperEnduro championship she is a full time professional riding for the Spanish Sherco brand. 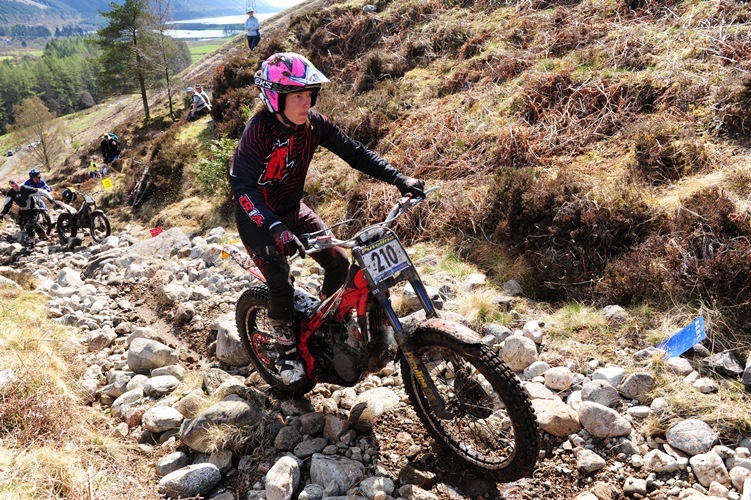 Trials Media interrupted her as she was training for her next challenge, the Scottish Six Days Trial which runs from the 5th – 10th May based around the Fort William area. The six day event is unique among international motorcycle sport as it allows ordinary riders to compete on equal terms with world championship riders. 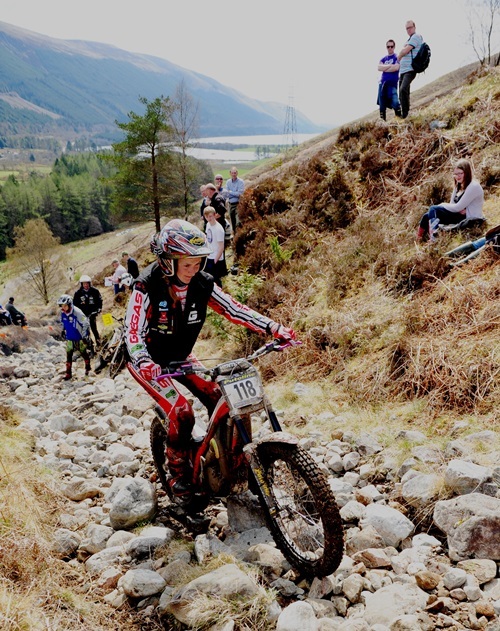 The event attracts 280 riders from around the globe who annually attend this event which takes in some stunning Highland scenery over the six days and 500 miles of competition. Due to the nature of my profession I keep very fit any way as I spend so much time on off-road motorcycles. I train on the motorcycle around 5 days a week and compete virtually every weekend. I also have a controlled diet to keep my body provided with the vital fuel to keep me in top condition. You compete for the Spanish Sherco brand. Yes I am a full time professional rider contracted to Sherco. It’s my second year on the Sherco and I am very happy. In the UK I receive extra support from Malcolm Rathmell Sport the official importers for the brand. They provided me with the Enduro machine which enabled me to win the SuperEnduro world championship earlier in the year. At the SSDT I will ride a Sherco ST 305 trials machine. You have won the Best Lady award at the ‘Scottish’ for the last few years. Yes that’s correct and I value that award very highly. Last year I took a coveted Special First Class award coming home in 47th position and on a couple of days I finished in the top thirty daily performances. My highlight last year was only losing 7 marks on the Tuesday. Where will the female opposition come from? Becky Cook from the UK and Sandra Gomez from Spain and you can never rule out the experienced Katy Sunter. Any rider male or female who competes in the event and finishes should be very proud. Does the event hold any further ambition for you? Yes I would love to be able to improve on last year’s position and maybe even match some daily scores of my partner and fellow competitor James Fry! Have you any other goals in off-road motorcycling? I am the current British champion and having finished as runner up for the last two years in the Ladies World Trials championship my ultimate goal is to be crowned World champion for my-self and Sherco. The Spanish brand deserves this success for showing faith in me with the factory contract. 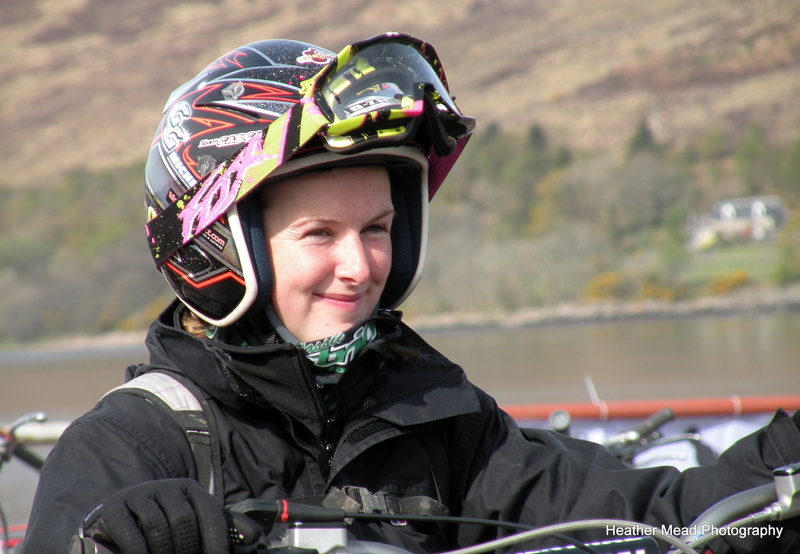 Thank you Emma ‘B’ for taking the time to talk to ‘Trials Media’, PR partner of the Scottish Six Days Trial 2014. SSDT – 100 or not? Interesting fact which has recently re-emerged about the numbers game which surrounds the Scottish Six Days Trial. The event started out in 1909 by a combination of Edinburgh based motor clubs. The Edinburgh & District Motor Club started organising the Scottish in 1911, this is why the 2011 event was named the ‘Centenary’ trial, won by James Dabill on a Beta, to celebrate 100 years of the SSDT under the Edinburgh club. It was not the 100th trial, that will take place in 2022, all being well. This year is not officially the 103rd event, but the 92nd event. It is 103 years after the first SSDT run by the Edinburgh & District club. Also the first year in 1909 was not a six, but a five day event. Also the world wars took their toll and there was no trial 1914-1918 and 1940-1946. The UK ‘foot & mouth’ outbreak in 2001 ensured there was no SSDT that year either. So you see, it’s more than a numbers game!